It’s a well-accepted notion that keeping live aquarium plants adds beauty to a tank. 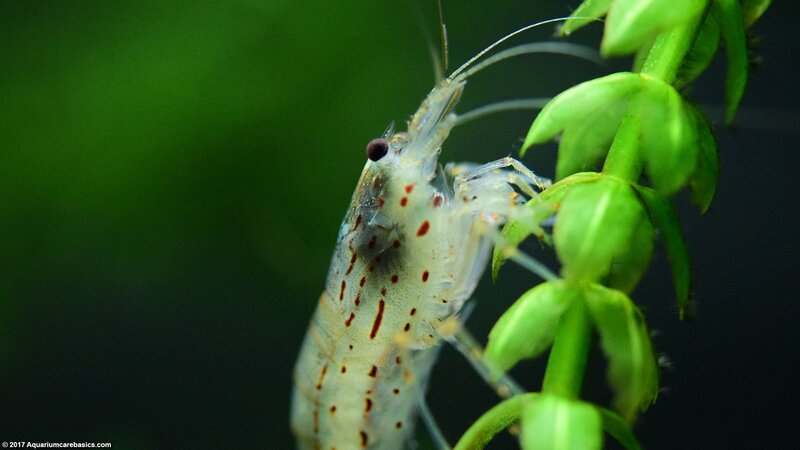 Aesthetics aside, there are other good reasons for keeping aquarium plants. Live aquarium plants help tanks stay healthy and provide small freshwater fish and freshwater shrimp with places to explore or hide. 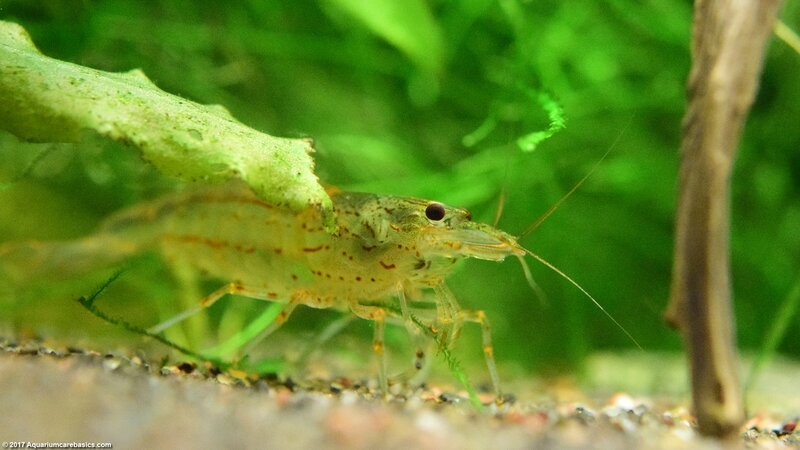 Live aquarium plants also provide edible matter for species that feed on leafy diets. 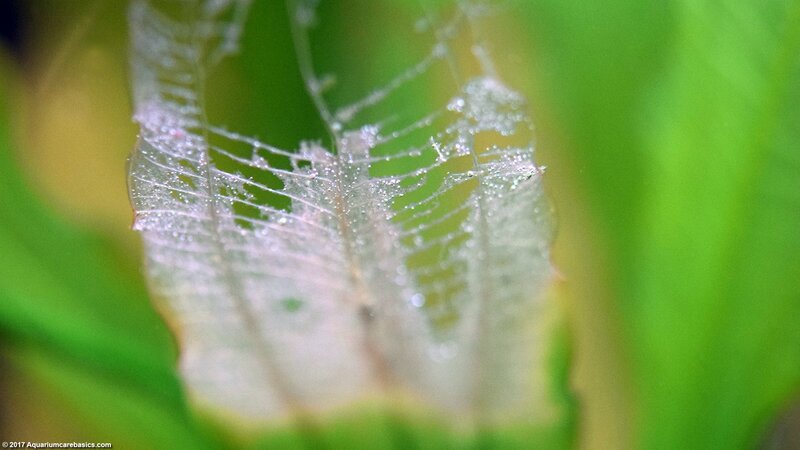 Snails often feed on decaying plant matter, and in some cases, they eat the live plants themselves. 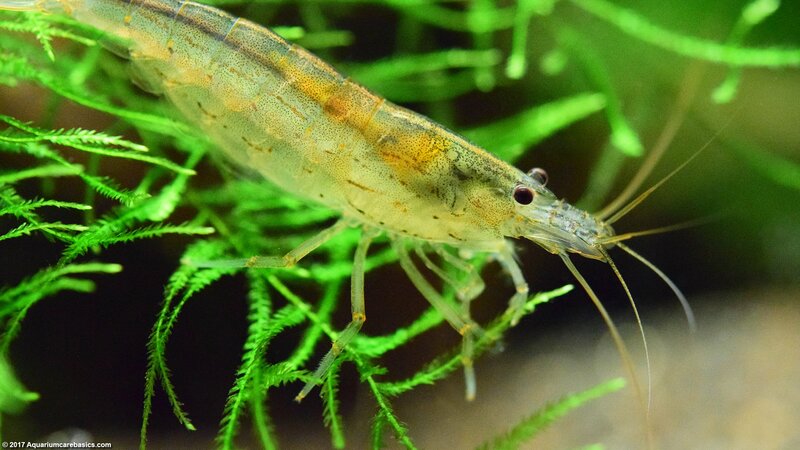 What are Some Easy Freshwater Plants For Beginners? 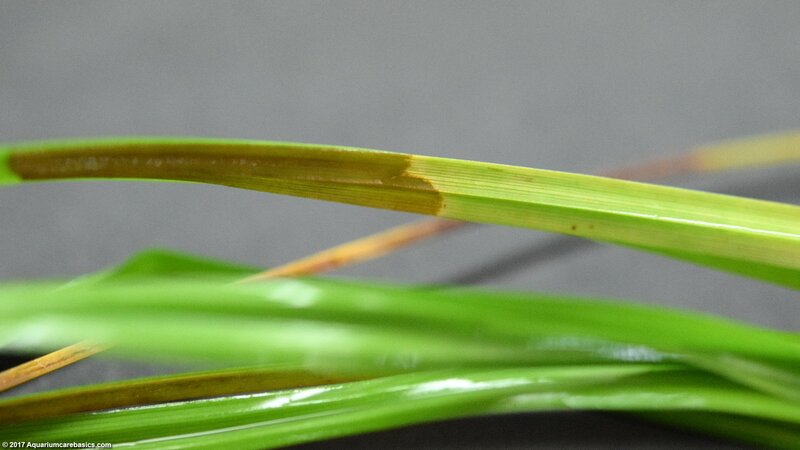 What Are Some Common Aquarium Plant Care Issues? A beginner hobbyist will most likely keep a low light, low tech aquarium. So aquarium plants need to be able to survive under those conditions. 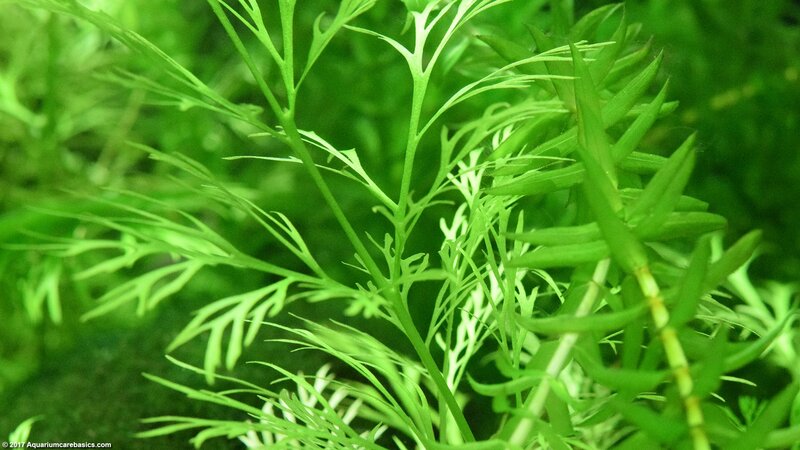 Often, easy aquarium plants for beginners are those with hardy green leaves, strong stems and robust root structures. 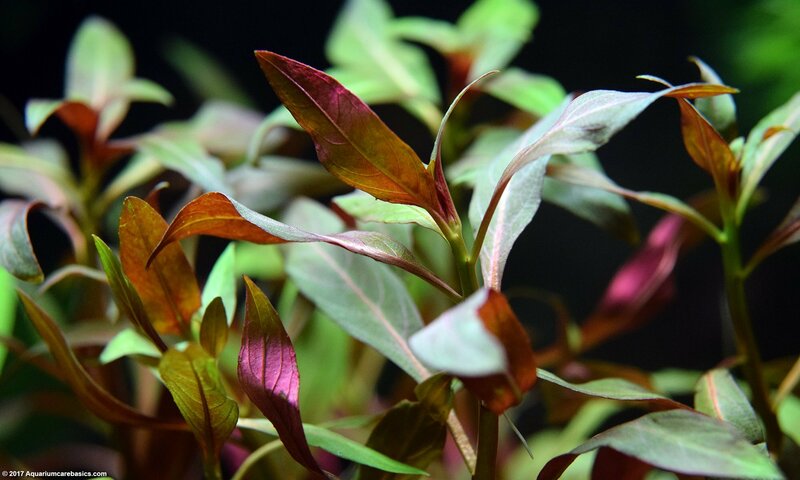 Aquarium plants with red or pink leaves require more light or more sophisticated tank set-ups. 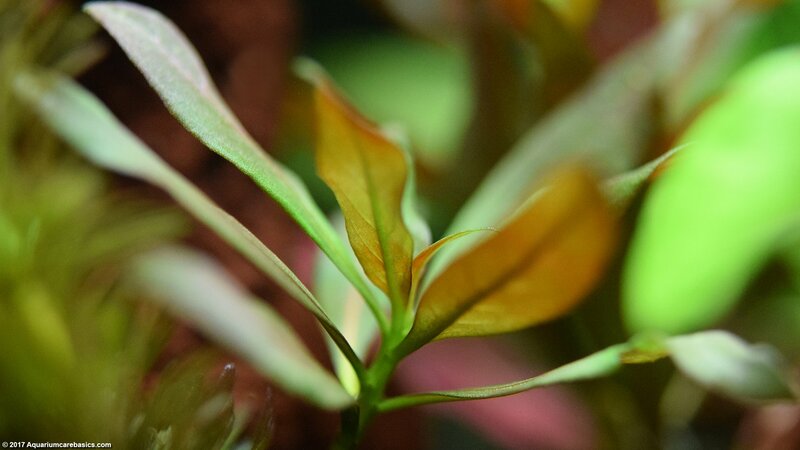 Aquarium plants with fine or delicate leaves are less hardy and may not be easy for beginners to keep. There may be some exceptions to these rules, but they are pretty good guidelines to follow. If there are any questions with suitability issues, be sure to ask the store clerk before purchasing. Popular easy aquarium plants for beginners include varieties of Amazon Sword and Anubias Barteri, Anacharis, Water Sprite, and Banana Plants. 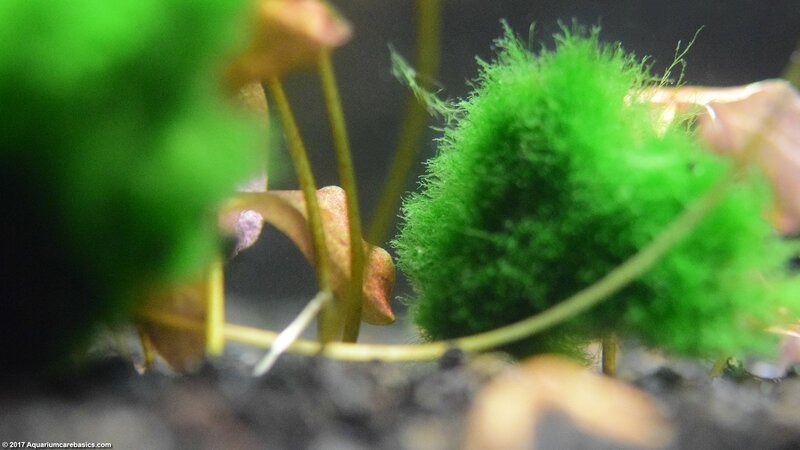 Other easy aquarium plants for beginners are Japanese Marimo Moss Balls, which really aren’t plants at all. 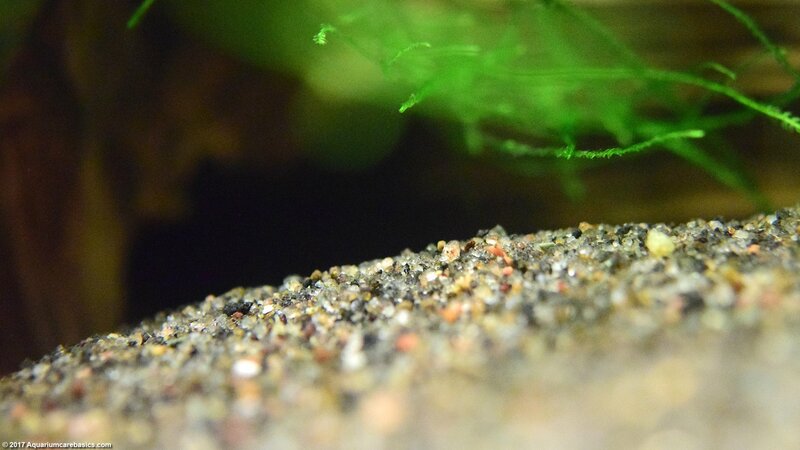 Moss Balls are a form of tightly wrapped fine green algae fibers and are often sold with aquarium plants. Hobbyists should be aware that “aquarium plants” displayed in stores can be “true-aquatic plants” or “non-aquatic plants”. 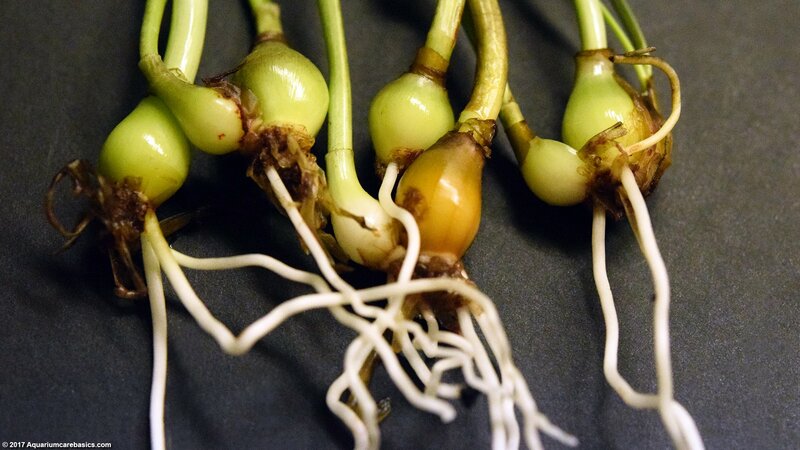 True-aquatic plants are suitable for aquariums and can survive fully submerged in water. 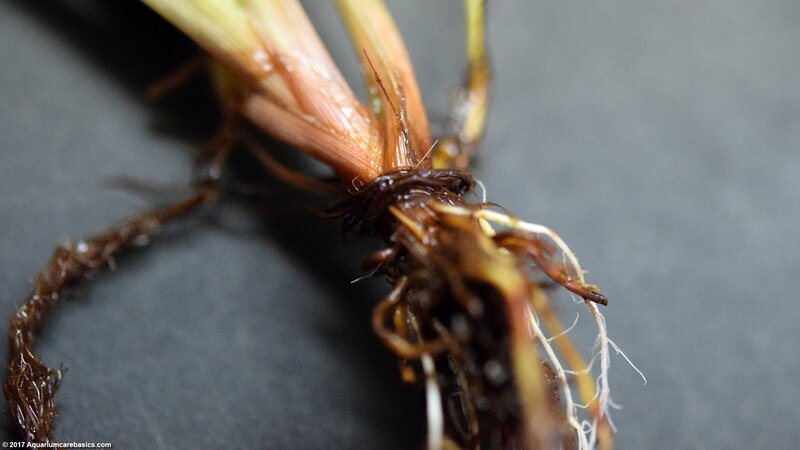 Non-aquatic plants are better suited for terrariums. Often, aquarium plants are labelled properly, but there can be mix-ups. Sometimes true aquatic aquarium plants and terrarium plants are kept together in the same display tank. Labels may fall off or get mixed up while in the water. The point is: don’t assume that just because a plant is displayed fully submerged in water that its a true-aquatic suitable for aquariums. Ask the clerk to confirm, and read labels carefully. Some hobbyists to choose terrarium plants for their aquatic tank because they like the look of the plants knowing they will not last long. Its better to make an informed purchase knowing exactly what type of plant is being bought, as opposed to spending money on the wrong type of plant and then wondering why it turned brown and died a month later. Here are some of the plant types often available in stores. 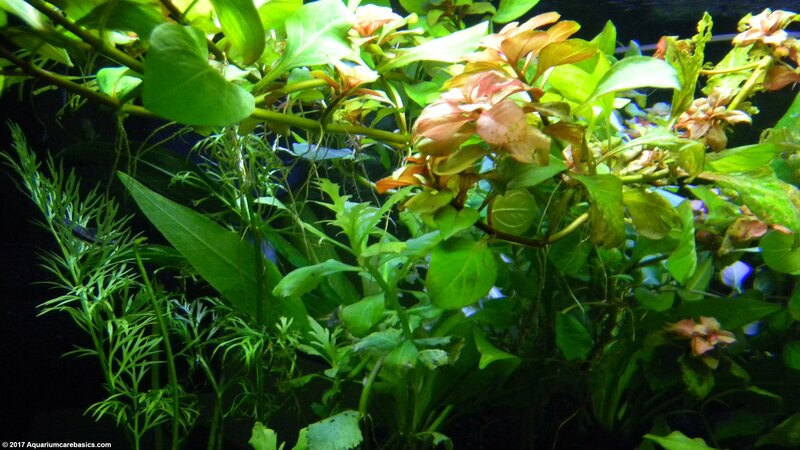 Some plant types are suitable for beginners with low light, low tech tanks and some are not. Some are true aquatic aquarium plants and some are not. Again, its a good idea to check with the store clerk before buying. 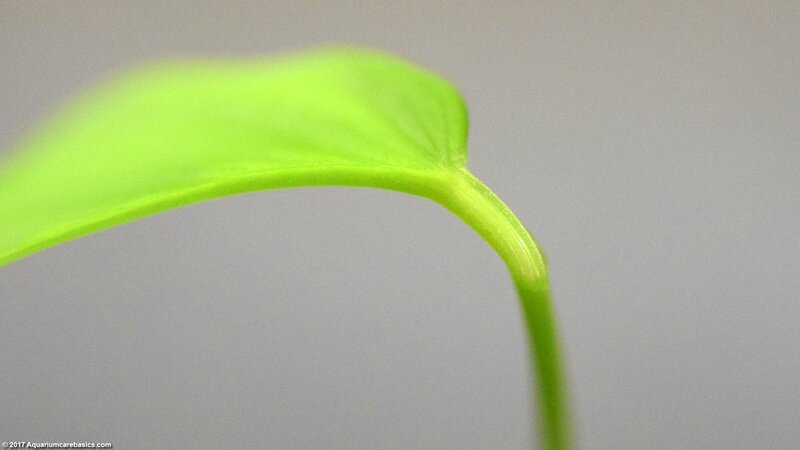 Amazon Sword Plant: An Amazon Sword Plant with it’s lush green leaves makes a good midground or background plant. 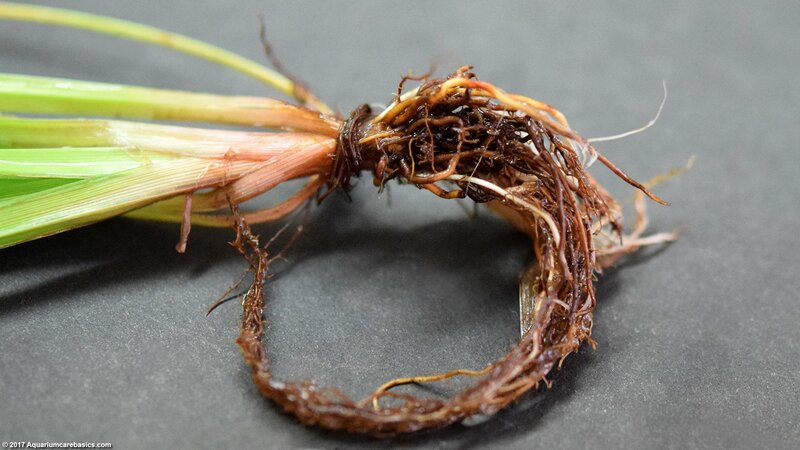 An Amazon Sword Plant can grow to be quite large, so plan the aquascape accordingly. Anacharis Plant: With its numerous green leaves on long stems, an Anacharis Plant grows either planted in substrate or floating in tank water. Bunches of Anacharis are good aquarium plants for beginners because they are one of the more hardy aquarium plants around. 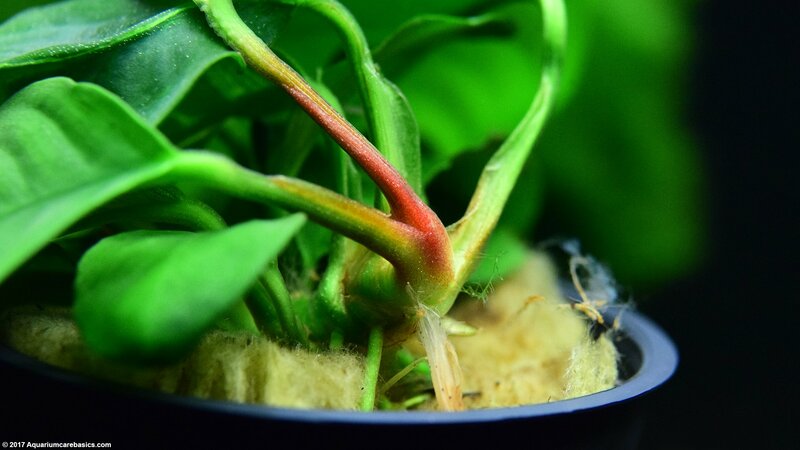 Anubias Barteri: With its thick green leaves, thick rhizome and durable roots, Anubias Barteri and its variations are popular low light aquarium plants that are easy to care for, and good for beginners. Banana Plant: An Aquarium Banana Plant is a popular green leaf foreground plant with banana-like tubers. 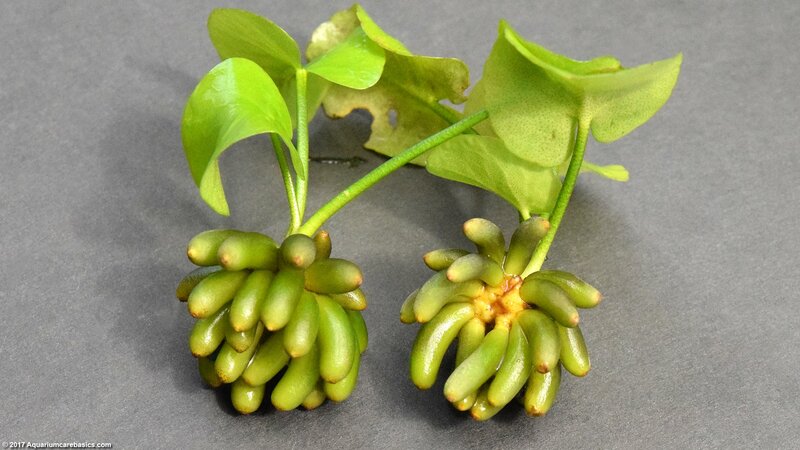 Banana Plants are good aquarium plants for beginners. 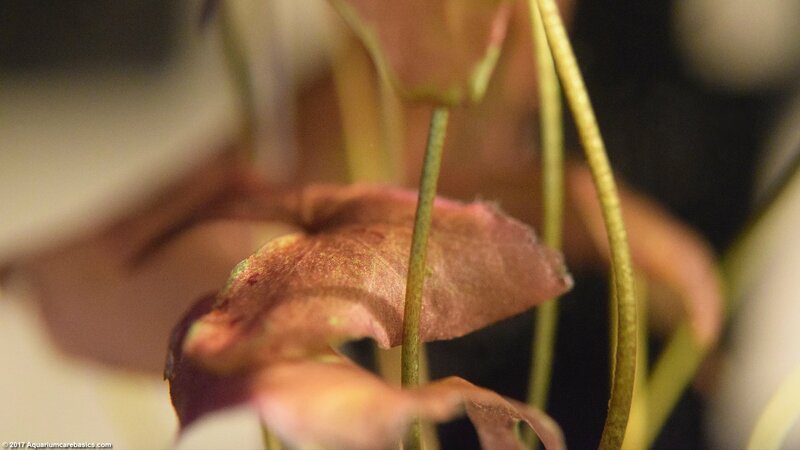 Often, they shoot long thin runners with fine leaves toward the water surface. Brazilian Pennywort: A Brazilian Pennywort has green leaves on long stems and makes a good background plant. Pennywort grows thick and dense so plan the aquascape accordingly. 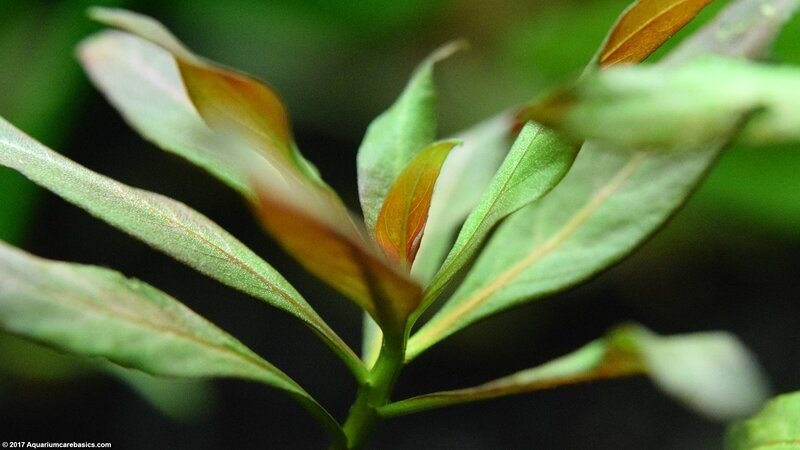 Brazilian Sword Plant: Hobbyists sometimes see a Brazilian Sword Plant with its green leaves on long durable stems and think it may be a good plant for their tank. But Brazilian Sword plants are not well suited to grow fully submersed in water. They may look good submerged for a while, but eventually they will decompose and die. A Brazilian Sword plant is more of a terrarium plant. 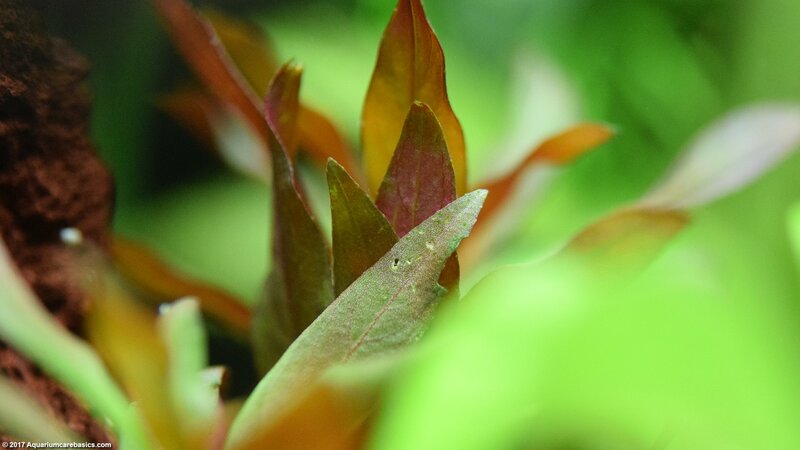 Cabomba Plant: A Cabomba Plant has fine, soft and delicate green or red-ish leaves. 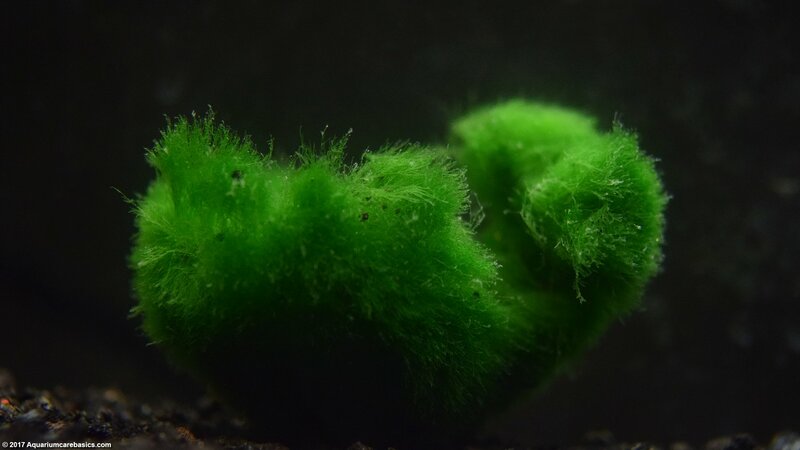 A Cabomba Plant grows floating or planted, and its fine leaves trap little bits of food, so its a favorite of Amano Shrimp and Red Cherry Shrimp. 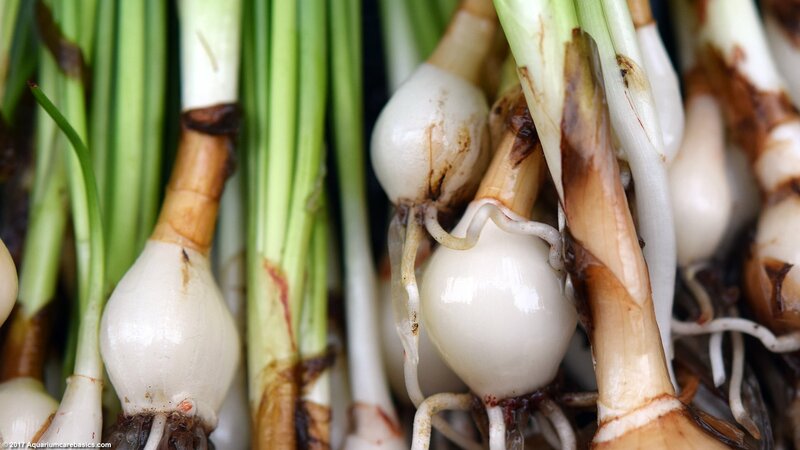 Dwarf Onion Plant: A Dwarf Onion Plant is not a true aquatic plant, but it has a unique “scallion-like” look for as long as it lasts submerged in aquarium water. 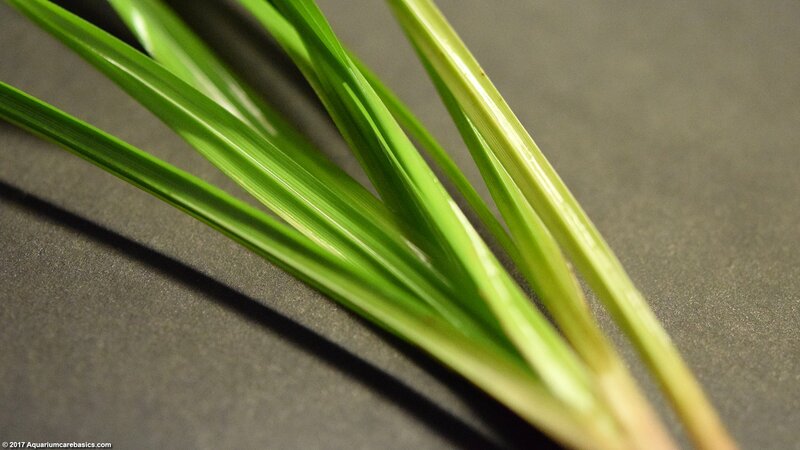 Micro Sword Plant: A Micro Sword Plant has fine green leaves and delicate roots. It makes a good foreground plant with the proper lighting. 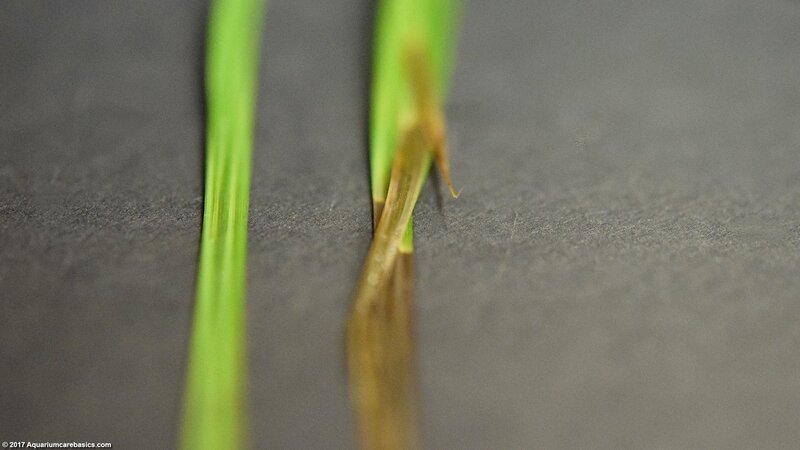 A Micro Sword can also grow to create a grass-carpet effect under the right conditions. Marimo Moss Balls: Readily available and popular, Marimo Moss Balls are not really plants at all. They are a type of algae ball that makes a great conversation piece. 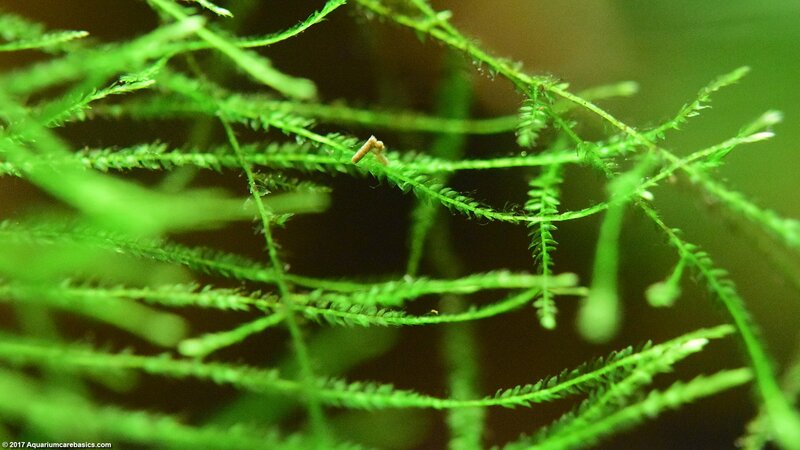 Moss Balls are especially good for tanks with aquarium shrimp. 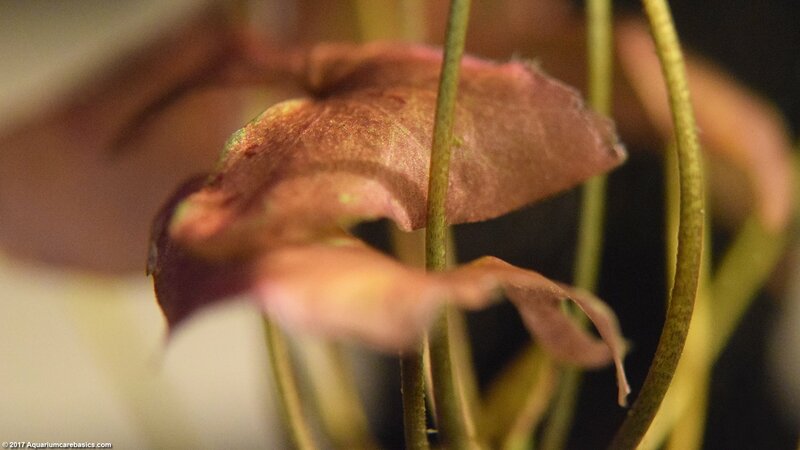 Water Sprite Plants: A Water Sprite Plant has dense flat green leaves on its stems and grows either floating in aquarium water or planted in substrate. 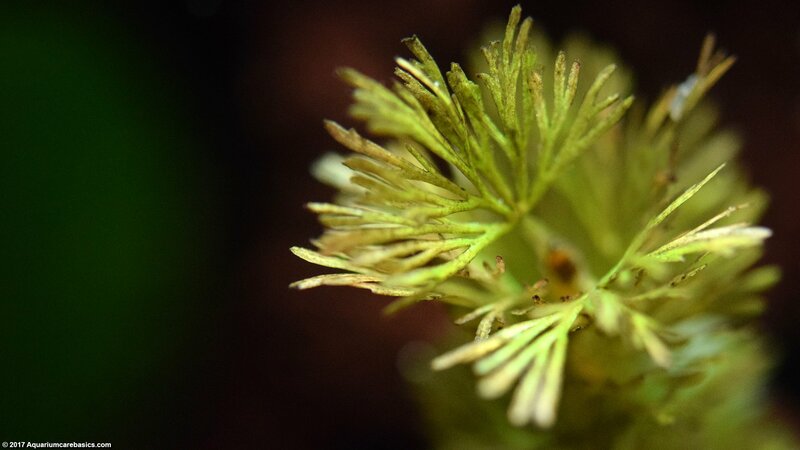 Water Sprite can be a good aquarium plant for beginners. White Sanderiana Plant: A White Sanderiana Plant is often seen totally submerged in display tanks. 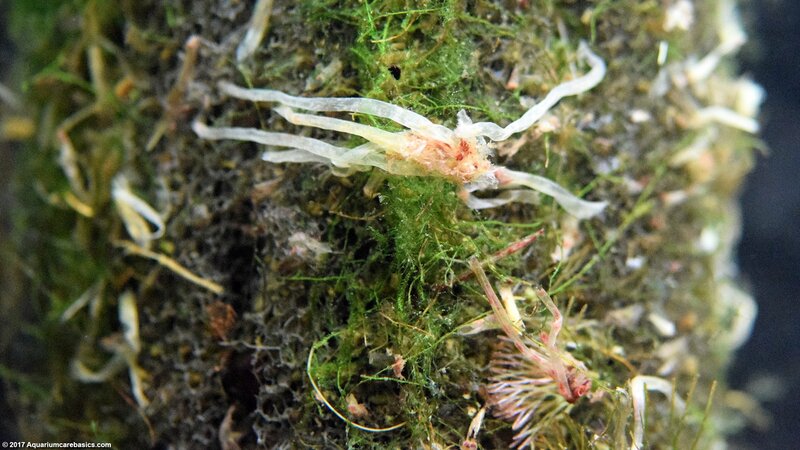 But White Sanderiana are not true-aquatic plants. They are better suited for terrariums. That said, White Sandriana can add a interesting “corn-stalk” look to a tank for as long as they last. 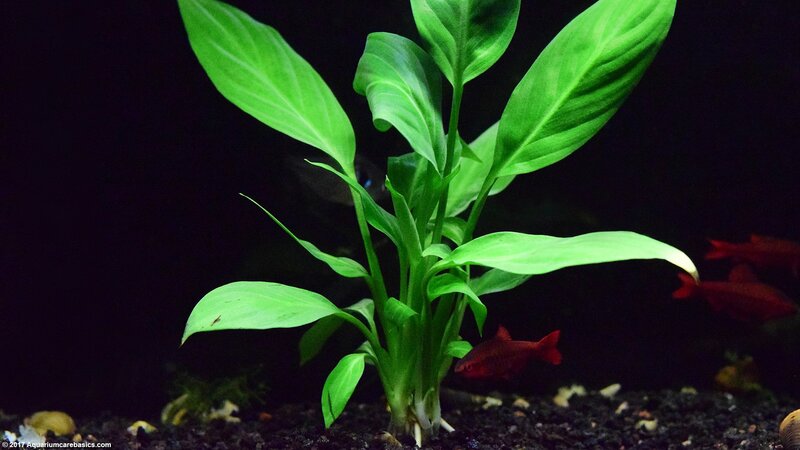 The top aquarium plant care issues are: aquarium lighting, water parameters, growth rate, trimming, and plant reproduction or propagation. 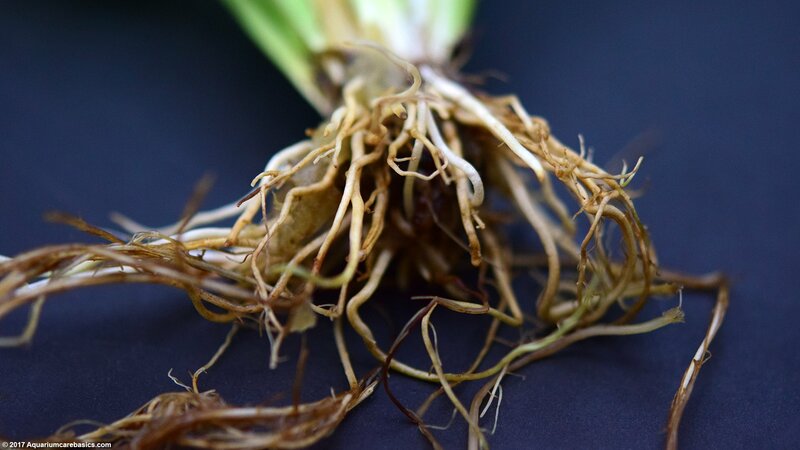 Other important aquarium plant care issues have to do with planting vs. floating, when applicable, and the position of plants relative to the surface. 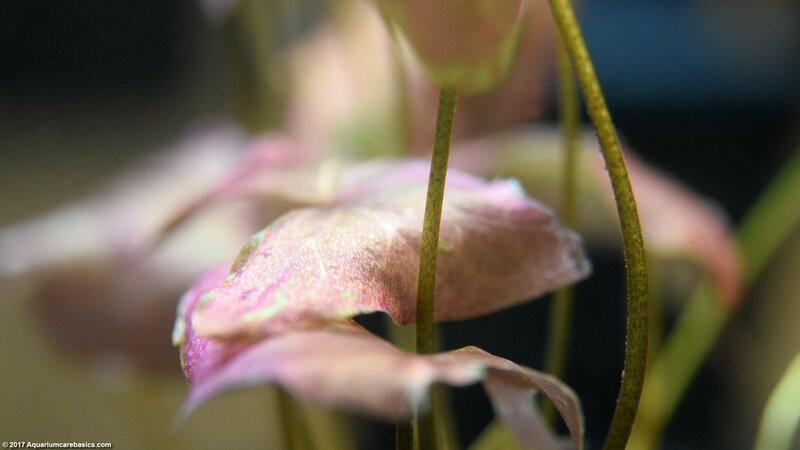 The closer aquarium plants are to the surface the more light they will get. 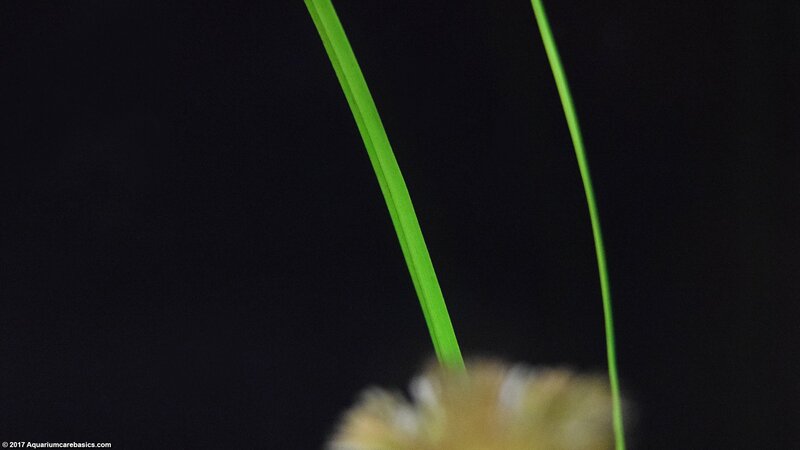 Along these lines, aquarium plants near the surface can create low light conditions for other aquarium plants near the bottom of the tank. Finally, deciding whether to add plant fertilizer and CO2 to the tank are also aquarium plant care issues. 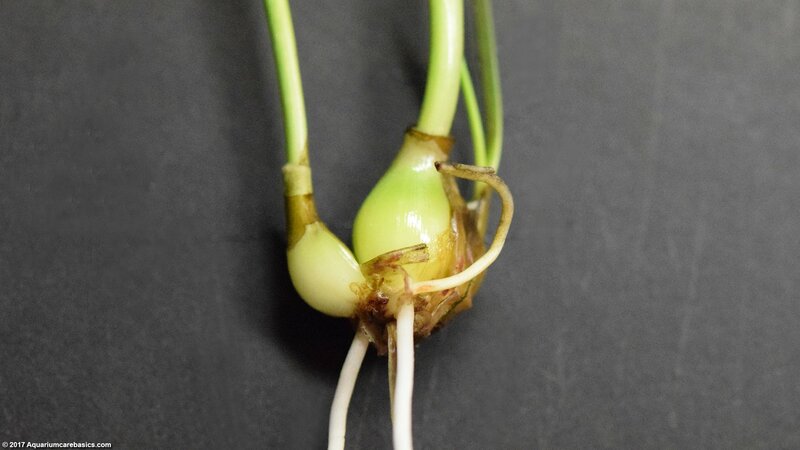 The chance of success with aquarium plants increases if hobbyists select aquarium plants that are right for their setups. 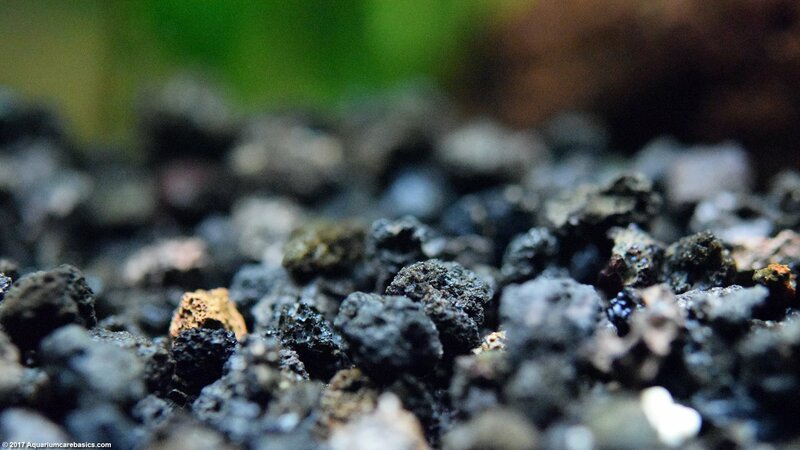 Since most beginners start out with a low light, low tech aquarium, it stands to reason that aquarium plants selected should be those that can survive under those conditions. As simple as this sounds, the point is often overlooked by new hobbyists with the result being dead or dying plants, a messy tank, wasted money, frustration and disappointment. 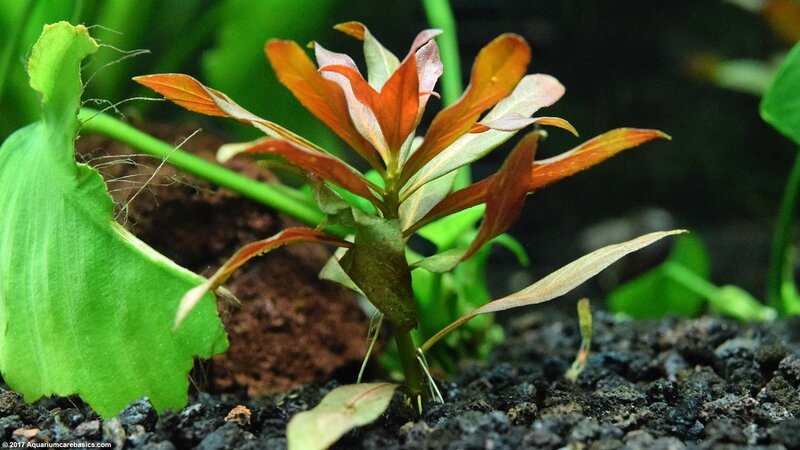 Here is another online resource for learning more about live plants for freshwater aquariums.